The Dress Collections of MONIC Swing Star (Party and Wedding Guest) and White Star (Bride) are made up of a set of garments designed according to high company standards with elegance, versatility and pure lines. The cuts, fabrics and range of colors make garments that are real wardrobe basics ; they are elegant solutions to parties, formal or casual. Both collections have been the hit of the season and now we also make them available online! 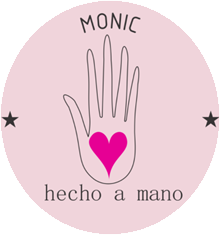 You will find wonderful opportunities to wear the MONIC outfit of your dreams. DON’T MISS IT AND COMPLETE YOUR TOTAL MONIC LOOK WITH THE MOST FASHIONABLE CLOTHES, DRESSES AND ACCESSORIES !! with a touch of Boho-Chic !! 15 Apr Headpieces with short hairstyles? … Absolutely YES !!! 01 Apr Headpiece Racine Strass: an Amazing Bridal Headpiece ! We collect and process your data, in accordance with the GDPR and our Policies, to provide our services and allow the proper working of this website. More information.